After all the E3 excitement last week it's back down to Earth with a bump this week, with a Game Gear Sonic game and European releases of decent, if long overdue games. Here's what's available this week. Sonic Blast (Game Gear, SEGA, £4.50/€5) — Sonic's last adventure on Game Gear (in Japan it was the last commercially released Game Gear game full-stop), its rendered environments didn't look great at the time and probably haven't dated well. We'll have a full review for you soon. Samurai Sword Destiny (UFO Interactive, £5.40/€6) — Sadly not the samurai game we were all hoping for, UFO's eShop adventure is a below-par side-scrolling slasher, as our Samurai Sword Destiny review elaborates. Art of Ink (Sabarasa, 800pts) — Out in North America for over a year now, we'd hoped Sabarasa's quirky tattooing game would reach Europe with a price drop but alas. The good news is it's actually very good: our Art of Ink review should fill in the gaps for you. That's the lot for this week, folks. What's coming home with you? Let us know in our Facebook poll. Maybe Sonic blast.. I loved Triple Trouble so if it's decent I'll probably get it.. I was hoping Marvel Pinball would come out this week, because there was a trailer for it in the e-shop.. oh well..
Where is the other Samurai game that NA has had for so long? Not fair. Aww. I wanted Last Blade. Gonna check out Art of Ink, but otherwise nothing. Good to see SEGA keeping up with the GG releases, although I hear all the sonic games aren't very good, so let's hope something cool like Defenders of Oasis pops up quickly. Not the best week. Yes, we're all best saving for the imminent arrival of the Mudd! It looks as though I'll potentially be getting Sonic Blast from this limited Nintendo Download. The rest of the titles are meh. Now, bring on Sonic Drift 2 and Tails Adventure! I can't believe I still want to get Sonic Labyrinth...I'm a worse monster than Werehog! Ha! 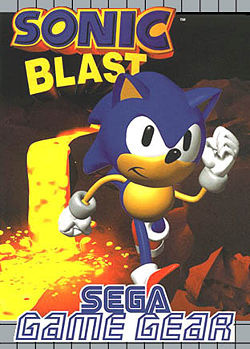 Someone here at this site said to mark their words that Sonic Blast would be the next GameGear game. @oiiopo Maybe not the "Sonic" Game Gear games, but Tails's Adventure is pretty good. Sword of Hope 2 next week I hope. Its weird that SEGA skipped both Sonic 1 and 2 on the Game Gear, I hope they release them at some point as I still think the first game is the best. Hopefully, we still might see the PC Engine on 3DS VC too. Perhaps they're saving the known better games until later. Who in their right mind would buy Sonic Labyrinth if Sonic 1 & 2 were already available? We're likely to get the first one first. @ Monsti - Me too. It was cruel to put Samurai in the title knowing full well that people would associate it with Sakura Samurai only to be dissappointed. Shame on you. No demos, no Mulana, no Last Blade, no Retro City, no Snowpack Park, no Horizon Riders, no Earthbound. It's getting a bit boring for those without a 3DS. Yuck. Sonic Blast is just awful. why is that week after week nintendo are so reluctant to release the games people want. no wonder smaller devs keep complaining about losing money, especialy when nintendo won`t even release the games they make. @SKTTR The WiiWare version of La Mulana was cancelled a few months ago. UFO went to Europe no!!!!! Sonic Blast is a horrible, horrible game. Looks like my wallet is spared this week. I tried Sonic Blast and was unimpressed. It's slow. It's like they took the original Sonic and then dug a hole in the chart so they could go down instead of up. @Fabian Sonic games sell because of the name. Once all the Game Gear Sonic games are released, they'll have to release other games. Its understandable why they would want to do Sonic first. I just hope those who do buy them aren't too disappointed that they won't buy the actual good games. "in Japan it was the last commercially released Game Gear game full-stop." We can then say that it went out... with a blast! I have £10.00 sitting on my eShop account, ready for Sakura Samurai! WHY WON'T YOU LET ME GIVE YOU MONEY NINTENDO! In Japan Sonic Blast is called G sonic. What would it stand for? Either way, if Sonic Blast hits NA this week, I'm getting it. I love the final boss song more than any other final boss song in the Game Gear series. Next week you may get Mutant Mudds, which is very cool. Be prepared. darn,JUST AS I SPENT MY MONEY UP!! I KNEW I'D HAVE TO SAVE IT FOR SOMETHING!! NOOOOOOO!! I'll save my pennies for Mutant Mudds next week. Aw. No Lego Batman 2 Demo. @P184 Its never a good idea to put money onto your account in the hopes of a specific game to be released. Sometimes it takes a long time, or doesn't come at all.